No doubt about it: The Edge's Stratocasters helped inspire the signature tones on countless U2 records and set a new standard for what the instrument could do. That's why Fender was pleased to offer The Edge a signature Strat that he not only endorses, but plays personally out on the road in arenas all over the world! The Edge Stratocaster features a jumbo '70s-style headstock with Edge's autograph on a fast maple neck, premium Fender pickups with aged pickup covers and knobs, and the American Deluxe's two-point synchronized tremolo bridge for Edge's haunting sustain and subtle shimmery vibrato. If you love The Edge's tone as much as Sweetwater guitarists, do yourself a favor and check out The Edge Signature Fender Stratocaster. Whether you've studied The Edge's style and tones or you just want a great-playing Strat with classic-styled appointments, the Fender Edge Signature Stratocaster delivers. With its comfortable alder body, fast maple neck, and versatile, responsive, punchy, and soulful pickups, it's no exaggeration to say the Fender Strat has helped shape the very sound of rock 'n' roll for the past 60 years. 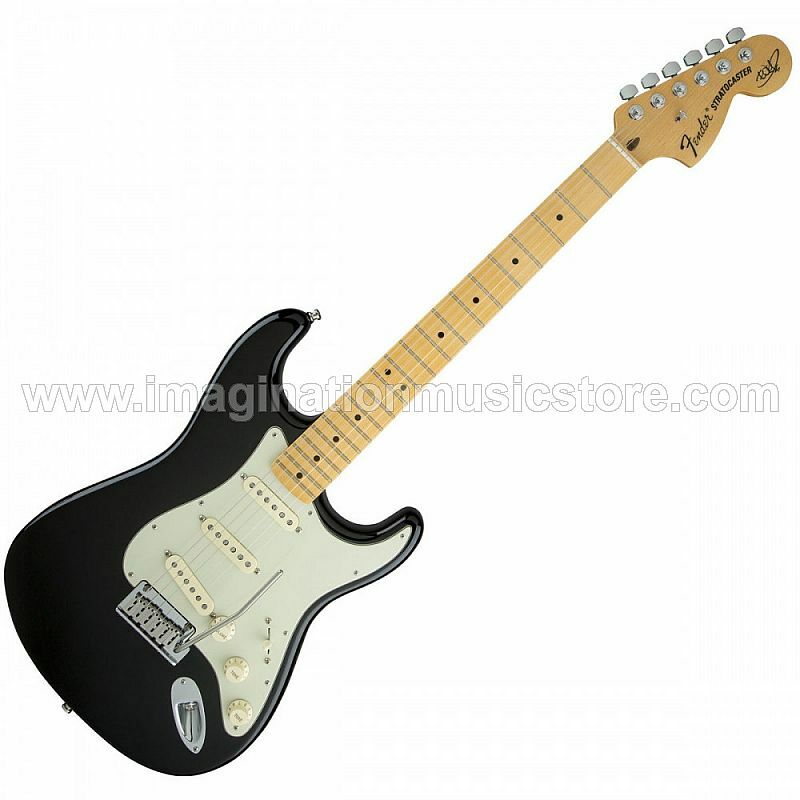 Get Edge-inspired rock tones with the Fender Edge Signature Stratocaster!